More than 4,000 preventable surgery mistakes occur each year in the U.S., according to reports from researchers at Johns Hopkins University. This can be a very frightening fact for anyone who has recently undergone or is planning on having a surgery. Despite the distress that this may cause, however, it’s important that people are aware of the facts about surgery mistakes and what their options may be for obtaining compensation in the unfortunate even that they are the subjects of such medical mistakes. In this article we’ll discuss some important facts about surgery mistakes in the U.S. If you suspect that you or your loved one has been injured due to any type of surgery error, don’t hesitate to contact the Portland malpractice attorneys at the Savage Law Firm. We are here to defend your rights and help you obtain the full amount of compensation you may deserve for your injuries and losses. What You Should Know about Surgery Mistakes in the U.S. 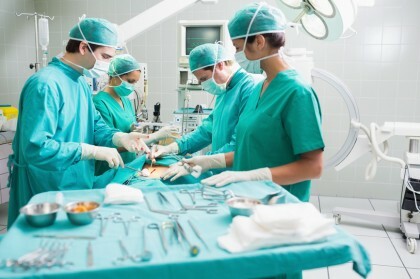 Fact 1 – Surgery errors are referred to as “never events” by researchers. Every year, upwards of 4,000 surgery errors, or “never events,” happen in the U.S. Check out some more important facts about surgery mistakes in this blog. Researchers and medical professionals refer to surgery mistakes as “never events” because, essentially, these mistakes should never happen if medical professionals are diligent, attentive, properly trained and performing their jobs as they should. There are mistakes in health care that are not preventable. Infection rates will likely never get down to zero even if everyone does everything right, for example. But the [never] events [that] we’ve estimated are totally preventable. Fact 2 – About 1 in every 3 cases of surgery errors leads to a permanent injury. Fact 3 – Leaving objects in patients is the most common type of surgery mistake. Leaving objects in patients and performing the wrong procedures are the most common types of surgery errors. Contact us if you’ve been hurt by a surgery mistake. While any number of mistakes can be made when patients are being operated on, by far, the most common surgery error is leaving objects in patients. In fact, researchers estimate that this type of surgery mistake takes place at least 39 times every week in hospitals across the U.S. Some of the specific objects that can be left in patients include sponges, surgical instruments, towels, gauze, etc. 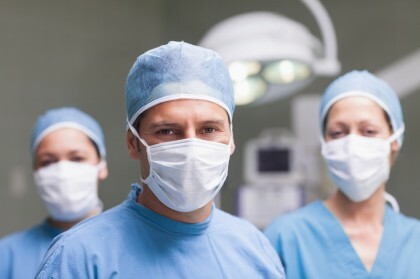 In general, this surgery mistake occurs when support staff members like nurses fail to properly account for all of the surgical equipment after a procedure. One solution that has been proposed is having bar codes on every single piece of equipment and supply used during surgery so that there is a precise way to account for them and determine that something may have been left inside of a patient (instead of waiting for that individual to develop a serious complication, like an infection). Fact 4 – Performing the wrong surgery is the second most common surgery error. Another common surgery mistake involves performing the wrong procedure on patients. In fact, Johns Hopkins University researchers have estimated that this type of surgery error occurs at least 20 times every week in hospitals throughout the U.S. While “wrong procedure” mistakes can involve (as the name implies) conducting the wrong operation on a patient, they can also involve performing the right operation on the wrong part of the body (such as operating on the right arm instead of the left arm, for example). Wrong procedure errors often lead to irreversible damage to patients, particularly when the procedure performed has involved the removal of organs, tissues, etc. Fact 5 – More than 60 percent of surgeons responsible for surgery errors had been known to have made a mistake in at least one prior surgery. The Portland malpractice lawyers at the Savage Law Firm are skilled at helping people injured by surgery errors obtain the compensation they need and deserve. What may be more shocking than the fact that surgery errors occur so often is the finding that more than 60 percent of surgeons have a history of making these serious medical mistakes. This can specifically highlight a pattern of negligence for some medical professionals, and it definitively underscores the need to do your research before trusting a specific medical professional to conduct a surgery that you may need. 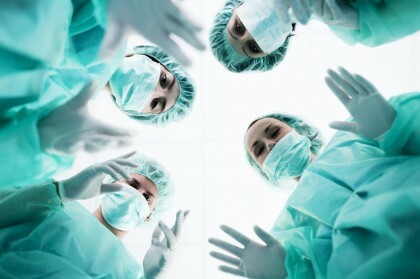 When surgeons with a history of making surgery errors end up making another mistake, the case against them can be very strong, as their pattern of negligence when operating on patients has been established. Fact 6 – In some cases, hospitals may be held liable for surgery errors. After surgery mistakes injure patients, the specific medical professionals (i.e., the nurses, anesthesiologists, surgeons, etc.) responsible for causing or contributing to the mistakes will usually be the primary defendants in malpractice cases. However, it’s important that injured people are aware that, in some cases, the hospitals that employ these negligent medical professionals may also be held liable for compensating injured people. For instance, if the negligent medical professional was an employee of the hospital (instead of an independent contractor), the hospital may also be on the hook for compensating people injured as a result of surgery mistakes. Although such cases can result in far more compensation being awarded to injured people, these cases may be far more complicated to litigate, as hospitals and their insurers tend to put up strong fights to any malpractice lawsuits based on surgery errors. Do you think that any medical professional may have made critical errors during your recent surgery? If so, the Portland malpractice attorneys at the Savage Law Firm are here for you. Since 1977, we have been committed to providing each of our clients with personal attention, respect and the highest quality legal services. We realize how devastating any type of malpractice can be, and our lawyers are here to aggressively defend injured people’s rights to both justice and compensation. While this means that our Portland malpractice lawyers will work diligently to help our clients tell their stories in court, it also means that our attorneys and dedicated staff will vigorously stand up to insurers and others outside of the courtroom to ensure that our clients are able to obtain the settlements they deserve.